We have been working with Athletic’s Gym for over 7 years now. From 2015 and onward we have been providing them with complete digital service which includes: developing and maintaining the website, communication and strategy on social networks, graphic design, SEO and running online campaigns. 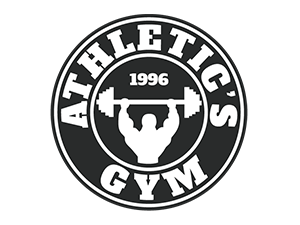 Athletic’s Gym is a fitness club established in 1996 with four clubs in Belgrade which makes it the biggest fitness chain in Serbia. Our cooperation goes back till 2010. A gym in which half of Belgrade shapes their bodies gave us a chance to shape their logo and complete visual identity. No wonder folks from Athletic’s Gym chose our agency to create their website. They are the biggest chain of fitness centers in Serbia, they use top-notch equipment and have most professional instructors so it’s obvious that their website needs to be on the same level their business is. We have freedom and privilege to represent biggest chain of fitness centers in Serbia on social networks where we show our imagination and creativity and also skill of running internet campaigns. Athletic's Gym prints their flyers and leaflets on regular basis for their promotional contents. As an agency completely servicing Athletic's Gym for graphic solutions, we provided many solutions - all consistent in design language.